Very Nice Rental Home in Great Quiet Location! Open Floorplan, Large Rooms, Many Windows, Mostly Laminate Wood Floors. Kitchen with Stainless Steel Appliances, Granite Counters, White Cabinets, Walk- In Pantry, even Long Breakfast Bar & Cute Eat-in Nook. Large Split Master, Garden Tub & Walk-In Closet. 2nd Bedroom has Carpet & Walk-In Closet. 3rd Bedroom has Laminate Floor. Mature Landscaping - Easy Yard with Desert Front, Grassy Backyard, Citrus Trees. Private with Single Level Homes Surrounding this Home. 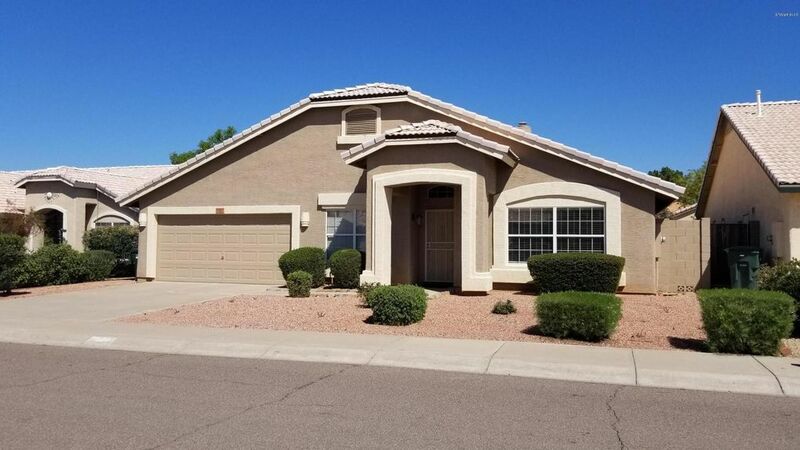 Convenient to PV Schools, Shopping, Desert Ridge Marketplace, Mayo Hospital & Much More! Easy Access to 101, 51 & Interstate 17. Directions: North of Bell on Tatum Blvd, West on Grovers Ave, South on 46th St, West on Saint John to House. Thank you for showing this nice rental home!